Do you always want to make the best impression whenever you smile? Or you want to impress at an important job interview? Do you just want to have a better look when you smile? If your answer to the three questions above is yes, then you need to get a safe and hassle-free way to whiten your teeth. To whiten your smile, teeth whitening in Tracy will be the best solution to give you the outstanding result you have been longing to have. To have the best teeth whitening treatment is not a big deal with pediatric dentistry of tracy world because you get your white teeth in a safe, convenient, effectual and cost-effective method. Free in office teeth whitening Tracy is the best for teeth whitening and you get a drastic result in your teeth. Your teeth get a permanent white color and the effect of the color change is deeper. Although there are different whitening system that can be used by teeth whitening Tracy but there are set rules and standard steps that will be used. The first and most important step for teeth whitening in Tracy is to clean your teeth. A professional dental cleaning is first done, the purpose of this is to remove all debris in the teeth, and surface staining and accumulated tartar are also removed. Doing this alone for teeth whitening in Tracy, you will experience great improvement in the appearance of your teeth without the use of any bleaching treatment. The touch up cleaning is what follows in the free in office teeth whitening in Tracy, a polishing paste is used by the best dentist for teeth whitening to ensure that all accumulated debris or stains are removed. 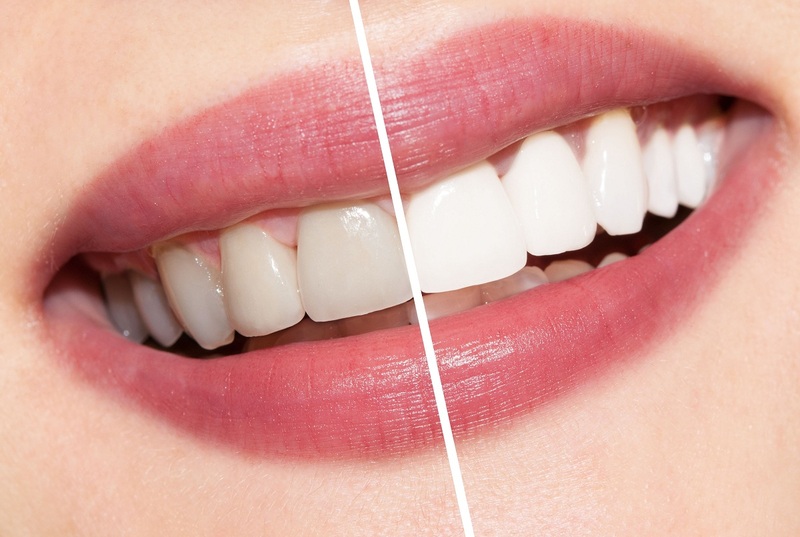 Teeth whitening in Tracy will like to know how effective the teeth whitening session is, this is the reason why you will have to determine the pretreatment shade of your teeth by comparing with a shade guide. The sample match will be recorded to monitor changes. Pictures may also be taken to keep record. Elite Dental Care Tracy then isolate your teeth from other parts of the mouth to avoid the irritating effect of the peroxide whiteners that will be used. The isolation or the teeth by teeth whitening is Tracy is done placing a dental dam. Some dams are liquid and will be squirted on the gum and other tissues in the teeth. After squirting the gel, teeth whitening Tracy curls a light on it which acts like a catalyst to activate the setting up of the gel. In few minutes a barrier will be formed to prevent the teeth whitener from coming in contact with soft tissues or any other part of the mouth. The dam will be peeled off after the teeth whitening. Rubber dams can also be used by pediatric dentistry of Tracy world. This is a latex-like sheet that is slipped into each toot to cover the gums and other tissue. The protruding teeth are left showing and it is then treated with the whitener. Free in office teeth whitening Tracy uses what’s best and gives what’s best. You have the option to choose how many teeth you will like to whiten. The next thing teeth whitening Tracy does is to apply the whitener. Professional whiteners are used which are in form of a thick paste or gel. Once they are damped on the teeth, they are activated using a bleaching light or laser. The reason why laser or bleaching lights are used is because light triggers the reaction and also increases the effectiveness of the whitener. Pediatric dentistry of Tracy world now allows the whitener to work and the bleaching session is wrapped up. The teeth whitener will be suctioned off and the teeth will be washed thoroughly, the isolating materials used will also be removed and the post bleaching shade of the teeth will be determined by the best dentist for teeth whitening. Teeth whitening in Tracy then treats the teeth with fluoride to minimize thermal sensitivity of the teeth and also promote remineralization of the treated areas. Free in office teeth whitening Tracy is the best teeth whitening you will get to make your smile.